The von Baers. Alejandra, Heinrich, Alicia and Joaquin. Daughter Leonor not shown. 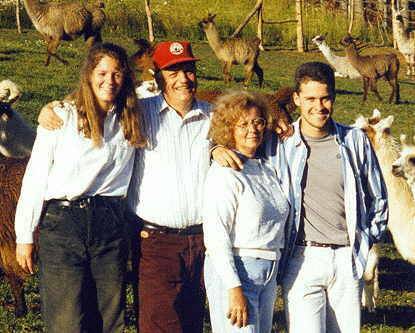 Imported pure Argentine llamas on the Llamas del Sur Ranch in Temuco, Chile.